Mr. Zweifel serves as Sr. Managing Director specializing in small and middle market transactions for the Northeastern and Central US. He has over 30 years of experience as a successful entrepreneur and investment banker. His comprehensive knowledge of working with business owners in a wide range industries provides an integral part in developing and executing exit strategies in the M & A transaction process. Prior to working with Generational Equity, Mr. Zweifel started and operated several companies. 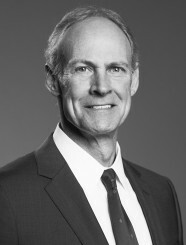 In addition, he has held positions with Drexel Burnham Lambert and Sanford C. Bernstein Company. Mr. Zweifel competed as a Division 1 athlete while at Utah State University as a business major. He has held FINRA series 7 license.